I bought some studs the other week and they finally arrived so I broke them out and did a quick NOTD. I didn't realise how small the studs would be so I'll be doing another order methinks for the larger sized ones ;) I decided to go for a teal and gold colour combo as I love these two colours together! I used 2 coats of American Apparel Peacock as my base. Peacock was sent to me by lovely Alice (who needs to blog again!!) in a swap and it's such a great teal creme. My only issue is that I'm not a fan of the American Apparel brushes as I don't find them firm enough meaning I have a tendency to flood my cuticles. 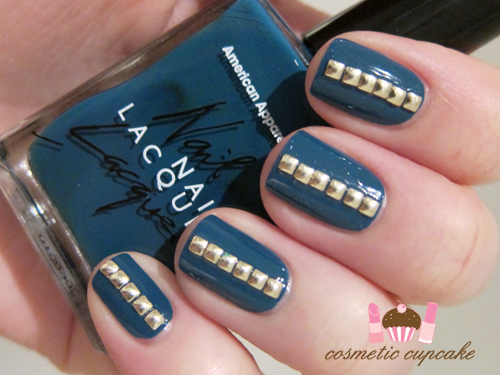 I then added 2mm gold square studs in a single row down the middle of each nail. 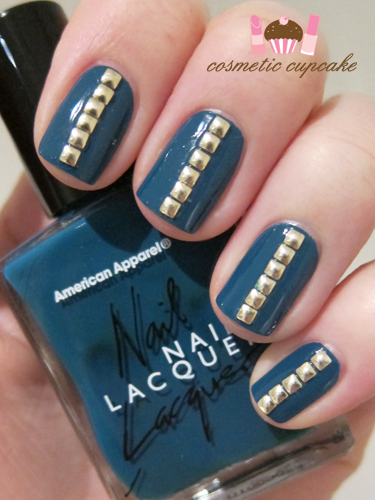 Have you tried out a studded manicure? I'm always late to the party haha. Thanks for looking as always! This mani is supa cool! Beautiful! This is one of the coolest manis I've seen in a while. 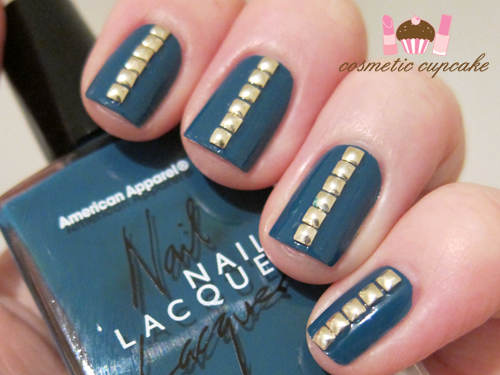 To be honest I have never seen a studded manicure like this one, and I love it!! It works really well with the gold and teal, I like that combination. 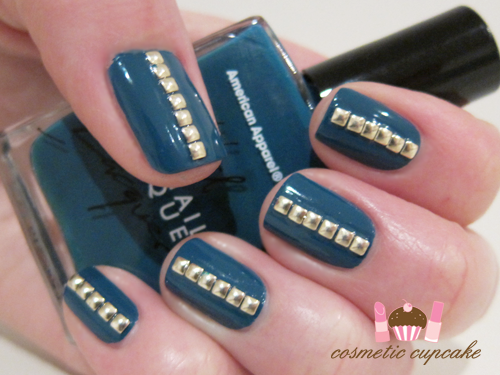 Love this mani with the studs. They are on so straight I thought you used a strip of studs but no they are individuals. Cool.